Video has become an essential tool in explaining to customers the feature set of a vehicle or about the benefits of purchasing from your dealership. Most modern dealer websites, and listing websites like Trade Me and Need A Car all have the capability to display video alongside photos on a per listing basis. Linking a video you've already created and uploaded to YouTube to a vehicle in Motorcentral is simple. 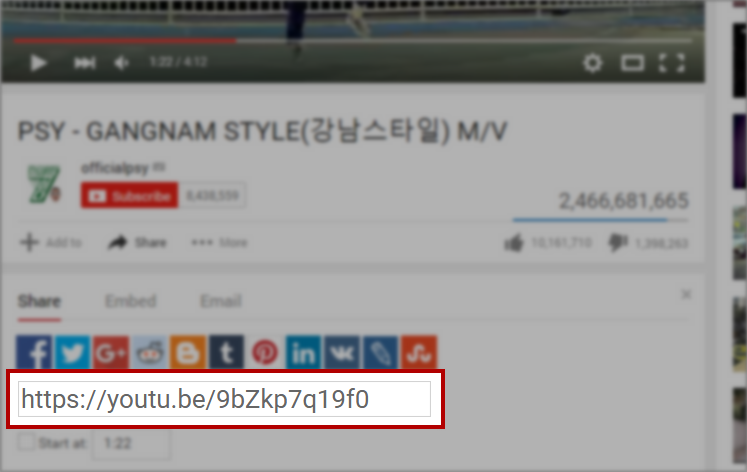 Browse to the video on YouTube that you've uploaded and want to link to. Click the Share button located directly under the video player. In the newly expanded section you will see the URL of the video. Located below the image gallery you will see the YouTube Video Id field. Enter the URL from Step 3 above in this field. Motorcentral will automatically strip the ID from the URL entered. Note: You can verify the link is correct by clicking the Find icon directly next to the field. If correct YouTube will open in your default browser and play your selected video. As a result next time you export that vehicle to your website*, Trade Me or Need A Car your video will automatically appear on the vehicle listing for your customers to view.